I have a video that was rotated 180° when recorded. Is it possible to correct this with FFmpeg? ffmpeg will automatically physically rotate the video according to any existing video stream rotation metadata. You need a build that includes commit 1630224, from 2 May 2015, to be able to use the autorotation feature. To disable this behavior use the -noautorotate option. Using ffmpeg you have a choice of three methods of using video filters to rotate 180°. When using the rotate filter, the bilinear interpolation should be turned off (by using bilinear=0) for angles divisible by 90, otherwise it may look blurry. Filtering requires encoding. 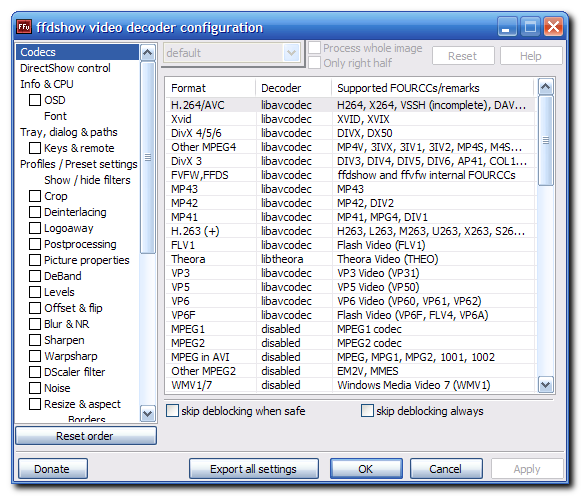 These examples make H.264 video outputs. See the FFmpeg H.264 Video Encoding Guide for guidance on getting the quality you want. Chroma subsampling. 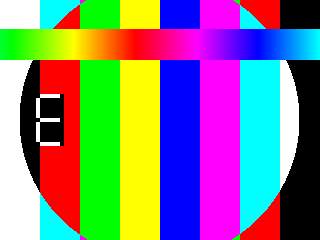 I included format=yuv420p since ffmpeg will attempt to minimize or avoid chroma subsampling (depending on the encoder, input, ffmpeg version, etc). This is good behavior in a purely technical sense, but most players are incompatible with more "advanced" chroma subsampling schemes. This is the same as using -pix_fmt yuv420, but is conveniently located in the filterchain. Copy the audio. The -codec:a copy option will stream copy (re-mux) instead of encode. There is no reason to re-encode the audio if you just want to manipulate the video only (unless you want to convert to a different audio format). This will save time since encoding is time consuming and it will preserve the quality of the audio. ...or refer to your favorite player. Most players worth using, like VLC, have this capability. Older builds of ffmpeg do not include filtering capabilities. See the FFmpeg download page for several options including convenient builds for Linux, OS X, and Windows, or refer to the FFmpeg Wiki for step-by-step ffmpeg compile guides. FFMPEG changed the default behavior to auto rotate input video sources with "rotate" metadata in the v2.7 release in 2015. If you know your script or command will never run on ffmpeg releases older than 2.7, the simplest solution is to remove any custom rotation based on metadata. For other cases you can future-proof by keeping your custom rotation code and adding the -noautorotate flag (this is supported in older versions which were still maintained at the time). 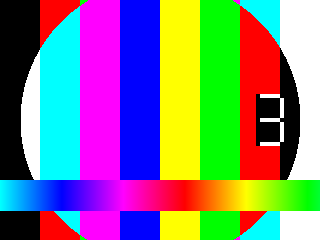 Media players that use ffmpeg as a decoding backend can also utilize all of its filters. See this screenshot with "Offset & flip" filter. Alternatively, if you want to re-encode your video, check out Rotating videos with FFmpeg on Stackoverflow. Following is a bash script which will output the files with the directory structure under "fixedFiles". It transforms and rotates iOS videos and transcodes AVIs. The script relies on having installed both exiftool and ffmpeg. # rotation of 90 degrees. Will have to concatenate. echo "Processing $f with rotation $ROTATION in directory $DEST"
echo ffmpeg -i \"$f\" -vf "scale=$SHORT_DIMENSION:-1,transpose=1,pad=$SHORT_DIMENSION:$SHORT_DIMENSION:\(ow-iw\)/2:0" -r 30 -s "$SHORT_DIMENSION"x"$SHORT_DIMENSION" -metadata:s:v:0 rotate=0 -b:v "$BITRATE_INT"M -vcodec libx264 -acodec copy \"$FIXED_FILES_DIR/$f\"
echo "Processing $f in directory $DEST"
I was asked to edit this, to preface the text, indicating the solution I eventually found was at the end of the text. So, at the end you'll find the two consecutive ffmpeg commands that successfully rotated my video to the correct orientation. The text preceding that was meant to give as much information as I could, as I'd seen other messages which were rebuffed because of lack of information. Anyway I hope this helps others using ffmpeg. It seems to me the purpose of hflip and vflip in ffmpeg, is, at minimum, confusing, and contrary to what I expected. I know I should've been able to mount my iphone via USB and copied the files directly, but that didn't work; my laptop would recognize the iphone was connected, but wouldn't mount its filesystem, and I got no prompt on my iphone to "trust" the laptop. First open your video file in QuickTime. You can either fire up QuickTime first, go to “File” and then down to “Open File”. Or you could right-click the file itself, choose “Open With” and then choose QuickTime. Once you’ve locked the orientation you want, you then have to export your video with the new changes you’ve added. You’ll find the “Export” option under the “File” menu in QuickTime. Choose the file settings you want to export as and click “Ok”, to kick off the export. When the export operation is complete, you’ll find your new file where ever you chose to save it with the correct orientation! This whole fix took me less than 5 minutes to complete, but depending on the length of the video, it could take much longer (or shorter, again, it varies). Did the trick for me. Not sure why the transpose filter does not provide a possibility to rotate 180 degrees at once, but whatever. Check the Docs for more info. Is there an easy way on mac to rotate a video 180 degrees? How to keep source frame rate with mencoder/ffmpeg?